I'm still not feeling too well and since tomorrow is my birthday, I decided to spend the day in my PJ's, trying to make sure that I'm as rested and relaxed as I can be. I'm off to Antwerp tomorrow, visiting some press agencies and attending the Alexander Wang x H&M presale event in the evening, so every bit of energy will be needed. Celebrating with Alexander Wang and H&M makes turning 25 (as in a quarter of a century) more bearable. Since my PJ's and exhausted face aren't really suitable for an outfit shoot, I do have to keep the blog updated. So here I am with another beauty post! 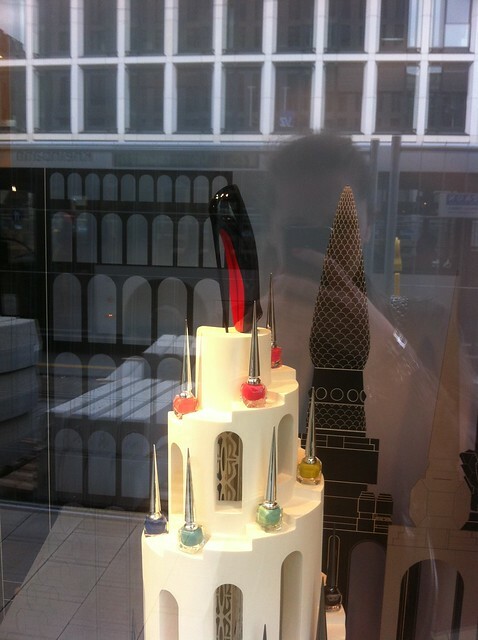 I present to you the Rouge Louboutin nail polish by Christian Louboutin (obviously). 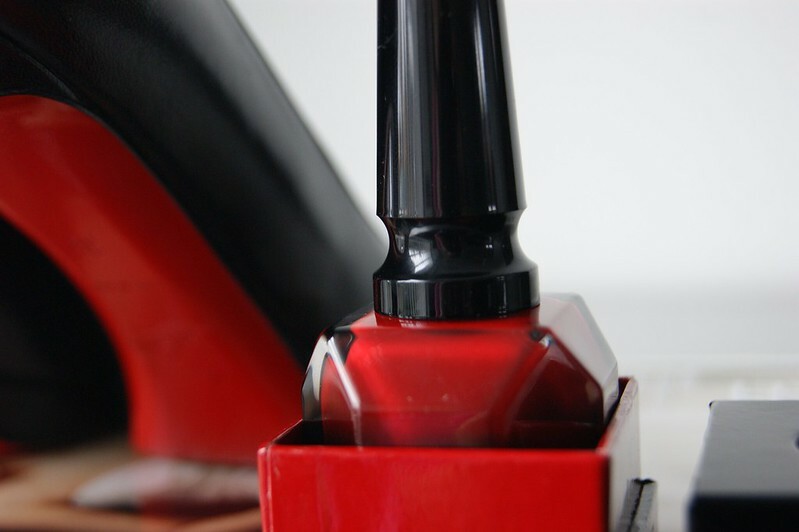 Ever since shoe designer and fashion icon Christian Louboutin launched his very own nail polish line, I knew that his iconic red color would be the only one to catch my attention. 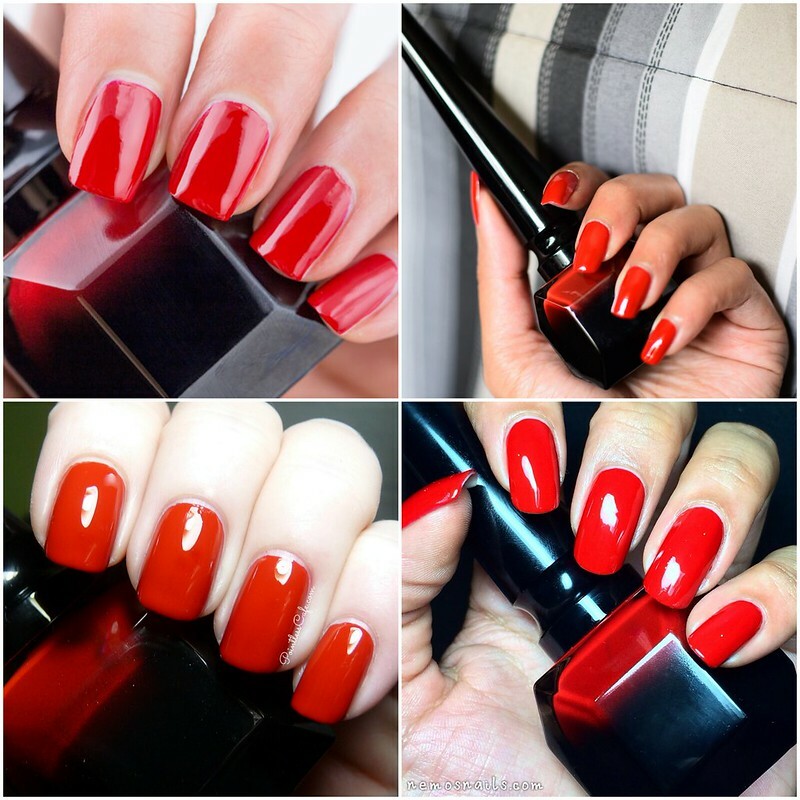 You all know how I can go crazy about a stunning red lipstick and the same goes for red nail polish. 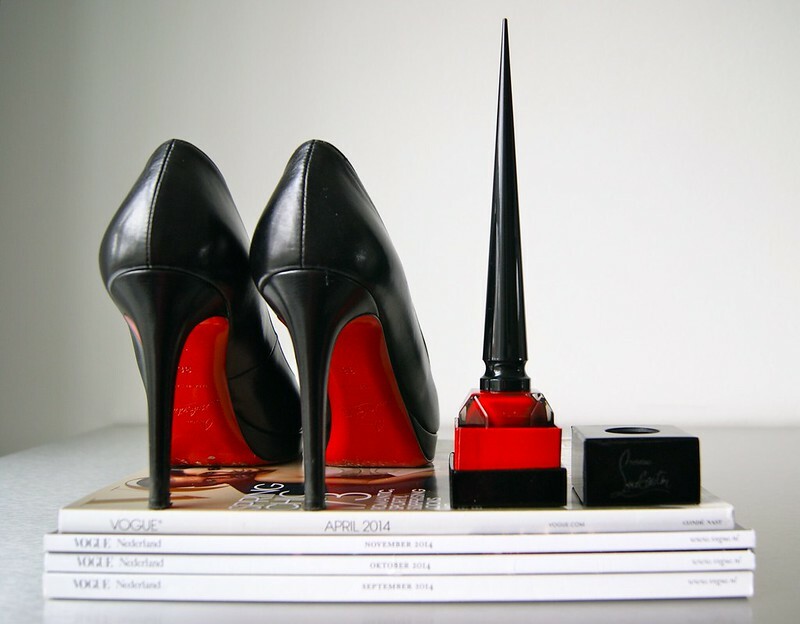 To me, red is a symbol for love, passion and femininity and is a color that can make an incredible statement -- something Christian Louboutin understands 100 %. 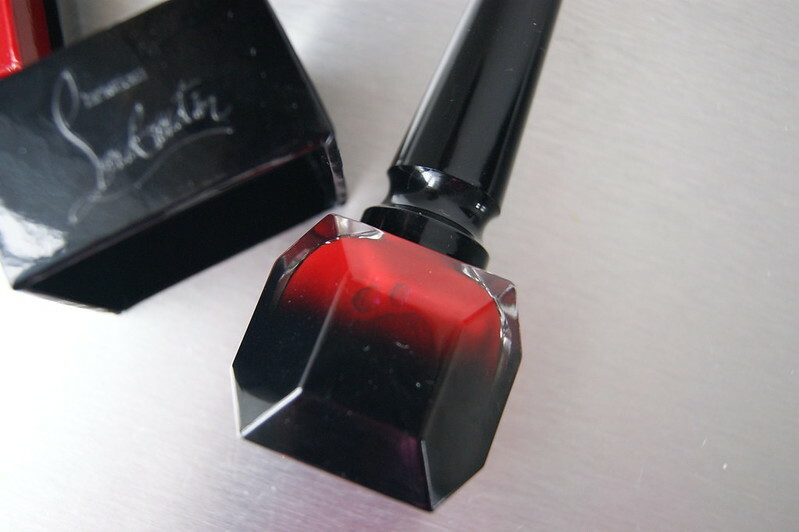 When my mom told me that she spotted the Louboutin nail polishes at the A Propos store in Düsseldorf, I literally obliged her to get the color Rouge Louboutin for me -- poor thing. We visit Düsseldorf on a regular basis and A Propos is always our very first stop: it's an amazing concept store which sells the best designer items, make up, fashion and interior books ... Just a little tip if you're ever planning to visit the city. The bottle itself comes in a shiny black box with a red detail. 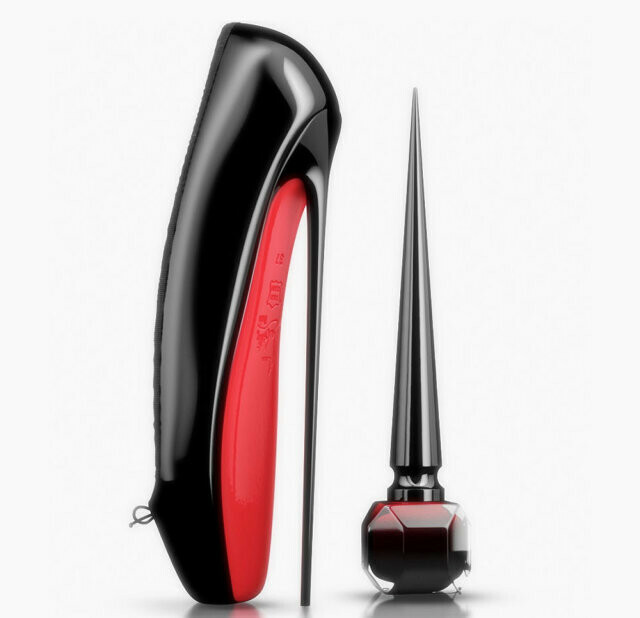 The black symbolizes the black patent leather and the red is synonym for the iconic red sole, of course. 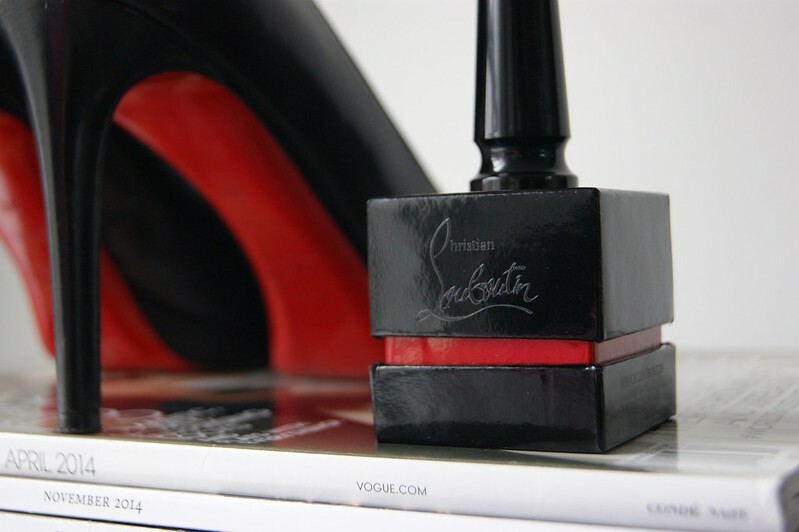 Christian Louboutin's famous signature can be subtly seen on the box. P.S. : The Louboutins in the pictures aren't mine, they're my mom's. My dad got them for her as a gift for her birthday this year. The box can be removed by pulling the lid upwards. 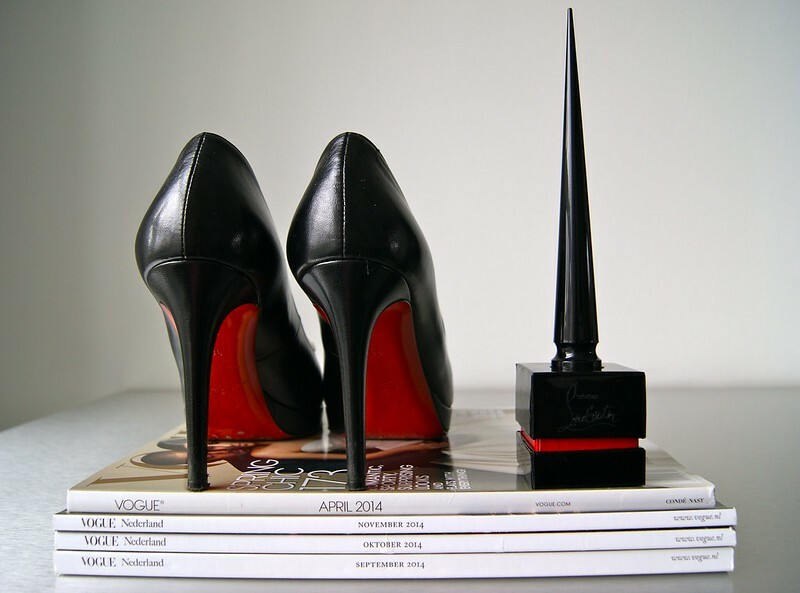 The tap is, obviously, too tall (and too pretty) to package, so Christian Louboutin fixed this by creating a hole in the lid as shown in the picture above. Here it is, in full glory. Isn't it a beauty? Even if you're not a fan of nail polish, I think the bottle itself is already an accessory to spice up your beauty table. Just try to make sure that you're not carrying it around at the airport, or you might find yourself in the security office explaining that your nail polish is not a weapon. I personally think this was the idea of it all. 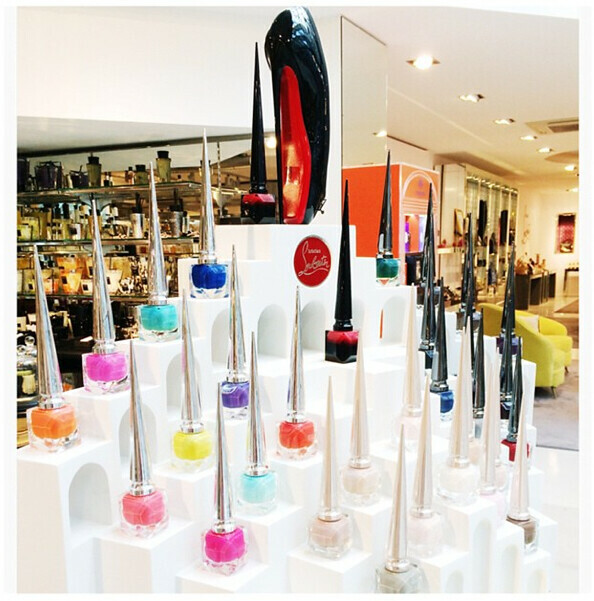 Just like Christian Louboutin's shoes, the nail polish isn't meant to be tucked away somewhere, but to be displayed for everyone to see. 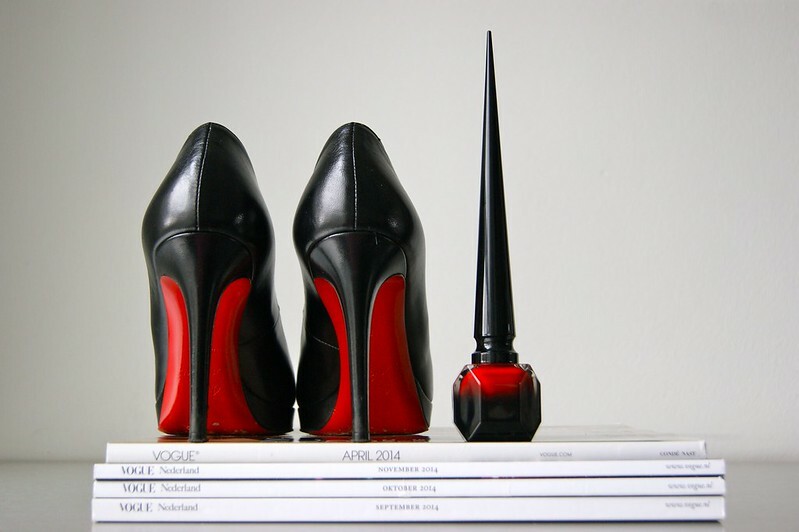 The overall idea for the bottle design came from the Ballerina Ultima, which is the tallest heel that Christian Louboutin ever designed. Both the heel and the bottle are 8 inches long. 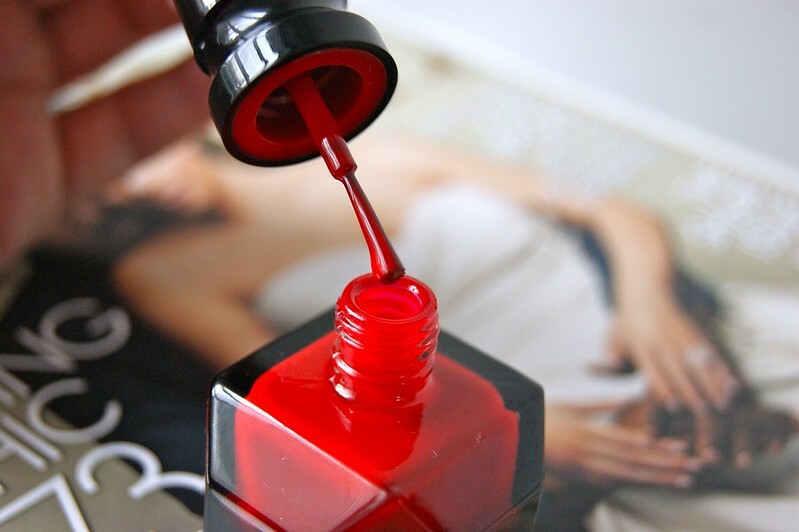 The nail polish comes in a gorgeous bottle with a cool ombre effect. It was pretty hard to capture the exact color of the nail polish (especially with the gloomy weather outside). This picture is the one that turned out best and I think it also shows that the color of the nail polish is pretty identical to the color of the soles, don't you? "The tall slender cap, inspired by calligraphy, turns the application into a luxurious experience, inviting women to take their time. The custom-designed, patented triangular brush picks up the right amount of formula, without air bubbles, to deliver flawless, chip-resistant coverage." The long tap takes some getting used to holding it in your hand, so he isn't joking about the 'taking time' part. Now, the reason why I didn't call this post a review: I have artificial nails, so I didn't have the chance to try out the nail polish (yet). However, I did my research on the Internet and the nail polish gets great reviews; everyone talks about how extremely pigmented it is and that it lasts up to 7 days without chipping. Even though I don't have any pictures of my own nails to show you, I did manage to find some great examples around the web. Isn't the color to die for? I can't wait to get my artificial nails removed and to try it out myself. Here's an image of the display at the A Propos store in Düsseldorf that I got my nail polish from. Love it! The picture comes from their Instagram page, you can follow them here. And I'm leaving you with a picture that my sister took from the window display. I'm thinking about getting another color as well. Which one would you pick? Let me know in the comment box below! 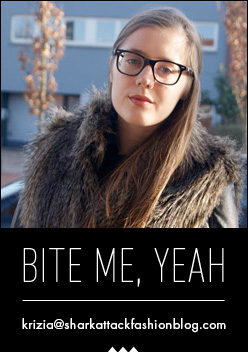 Je zou hem echt kopen voor het flesje want € 45,00 is echt belachelijk duur voor een nagellak. Ik ben toch benieuwd naar het resultaat als je hem zelf opdoet! totally love it! that bottle is awesome! Ik ben echt officieel verliefd geworden op deze nagellak, wow! Beetje prijzig wel maar oh zo luxe! Voor zo'n luxueus merk als Louboutin vind ik de prijs nog wel meevallen, haha. Ik vind de packaging eigenlijk écht niet mooi. Speciaal wel, maar mooi niet ... Voor de kleur geldt dan weer het omgekeerde ;-). Wow the high heels are such amazing! That has to be the most perfect red! Wauw! Bizar, maar wel super mooi. this man is a genius but I'm not sure i'll buy his nail polish. Supermooie foto's, en het flesje is echt wel een eyecatcher!! Wow! This is a very useful page and I really enjoyed reading article and all users’ comments. It is true that, Christian clothing is the perfect balance between the beauty and modesty. Thank you for sharing valuable information.